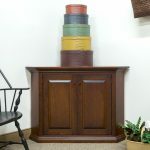 Authentic Reproduction Corner Cabinets are available in many sizes and can also be custom made to your specifications. 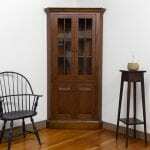 Glass door & blind versions can be ordered in woods like Cherry, Tiger Maple and Sugar Pine. 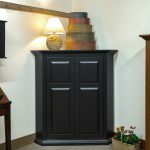 Many pleasing finishes and stain tones are possible and a large selection of historical painted finishes are also an option. 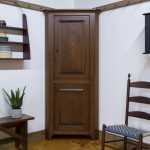 Custom finishes to match your existing furniture can be ordered, alternate woods like White Oak, Walnut and Bird’s Eye Maple are also a possibility. 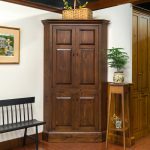 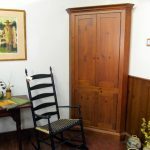 Nationwide shipping and delivery services are available or you can save more by picking up at our showroom in Lititz Pennsylvania where we maintain a large inventory authentic reproduction Corner Cabinets that are ready to go and already built. 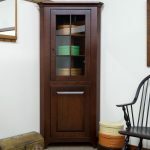 Get the latest information on our Sales, New Products and much more.